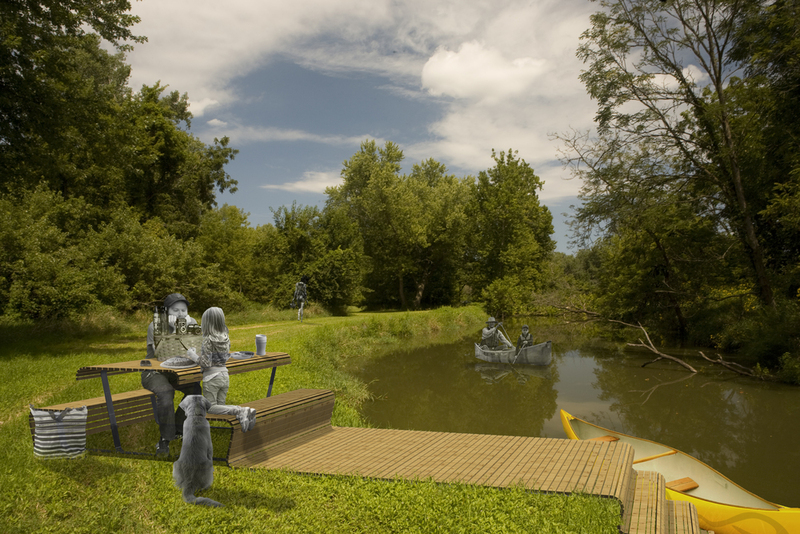 We understand the park as the preamble of a long conversation in between Des Moines and the Raccoon River to rethink our relationship with nature through water. By means of 13 metaphoric dialogues, Water Works Park will spark the interest of the community to grow understanding about our role as a part of a system of systems. The Water Dialogues are interactive and contemplative landscapes that frame different aspects of the water cycle to inspire the community to restore the links with nature. The circle is an inherent and recurrent aspect of the human footprint in productive landscapes. The Water Dialogues use circles as its main language to highlight the permanent changing character and complexity of natural systems and our constant failure to comprehend this aspect. Our trend to simplified and control nature needs to evolve into an adaptive and complex response within the shortest time frame possible.